It's only February, but Schoolboy Q is making a compelling case for himself with his "Man of the Year" single. The song, from his recent Oxymoron LP, was a crowd-rowsing hit when he performed it on The Arsenio Hall Show. With a stirring backing band in tow, Q offered up a compelling performance of the song, hitting his lines with extreme intensity. It was a fantastic version of the song that wasn't even derailed by extensive guitar noodling. 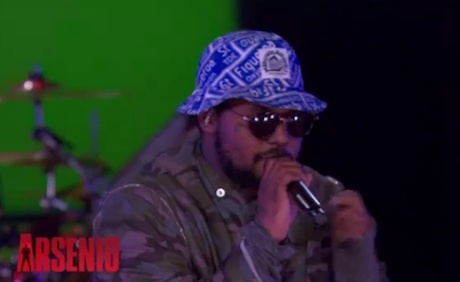 Watch Schoolboy Q perform on Arsenio below. You can also read our recent interview with him by clicking here.